The West after World War I, a time of economic fragility, of bubbles followed by busts and of a cascading series of events that led to the Great Depression. The present scenario is about emerging economies. The combined output of emerging-market economies now accounts for more than half of world GDP and energy consumption. 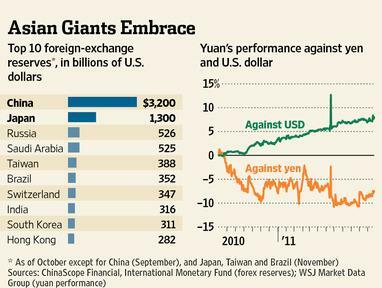 The emerging countries also hold 70% of the world’s foreign-exchange reserves. As a result, rich countries no longer dominate either the global economy or the global economic-policy agenda. Emerging countries’ global integration, demand for resources, and huge capital inflows now determine rich countries’ economic performance – their inflation rates, employment levels, borrowing costs, and wages and profits. Faster growth that lifts the living standards of hundreds of millions of people in poor countries boosts global demand and reins in inflation., Both should be a cause for celebration. Instead, many in the rich world are protesting as output and jobs shift to low-wage economies in Asia, Latin America, and Africa. And many in the developing world complain that rich countries’ trade barriers, agricultural subsidies, and monetary policies are blocking their progress. Clearly, then, the shift in the balance of global economic power will give rise to a radical re-thinking of economic policy in both rich and emerging countries.